If you are fond of building maps then you are definitely familiar with WorldEdit PE. But we offer you a simpler and easier way to create your world in the case when you prepare the basis for construction. Custom Flat World mod allows you to completely replace the usual ground, ore and other components with your resources. 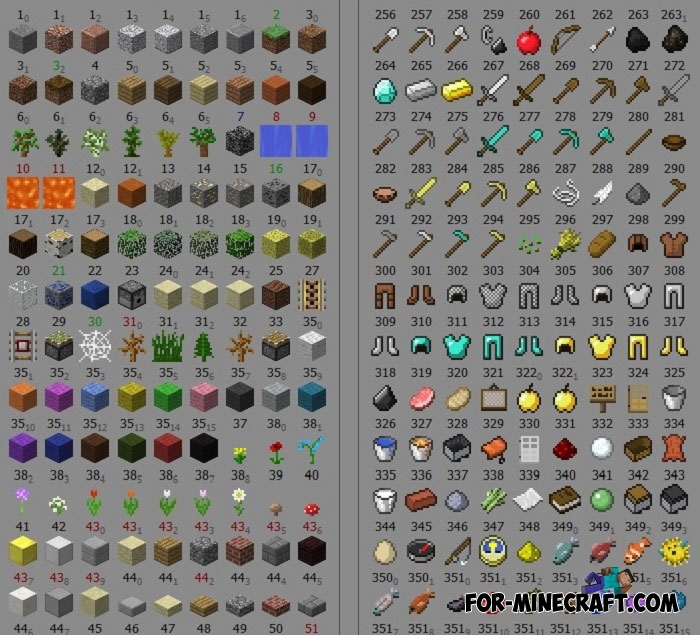 In this case, you just need to specify the types of blocks that will be used when creating the world. Below you can see the incomplete list of blocks, just type selected IDs in a special field separated by a comma. Remember that the mod only works in a flat world. 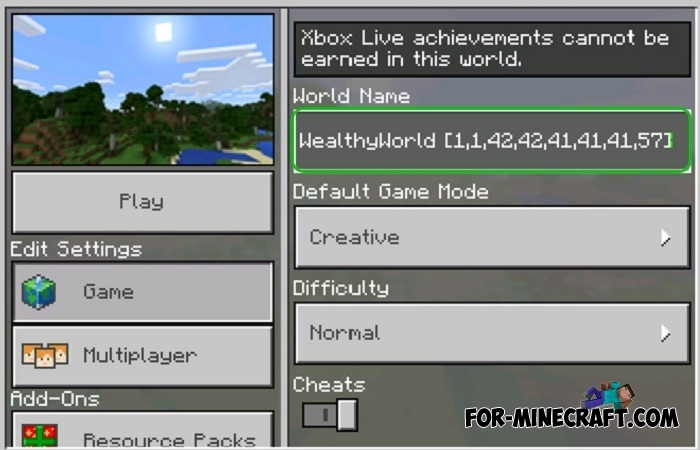 But anyway, the Custom Flat World mod is clearly convenient for building mini-games, parkour, puzzles and others maps. And of course, you can always transfer structures from the flat world to any other one with the help of the WorldEdit. Download the latest version of BlockLauncher and run it. Click on the wrench and go to ModPE. There, select the downloaded mod and restart the game.